From a transcript of a taped telephone conversation between Elvis and Wanda Hill in the early 1970’s. 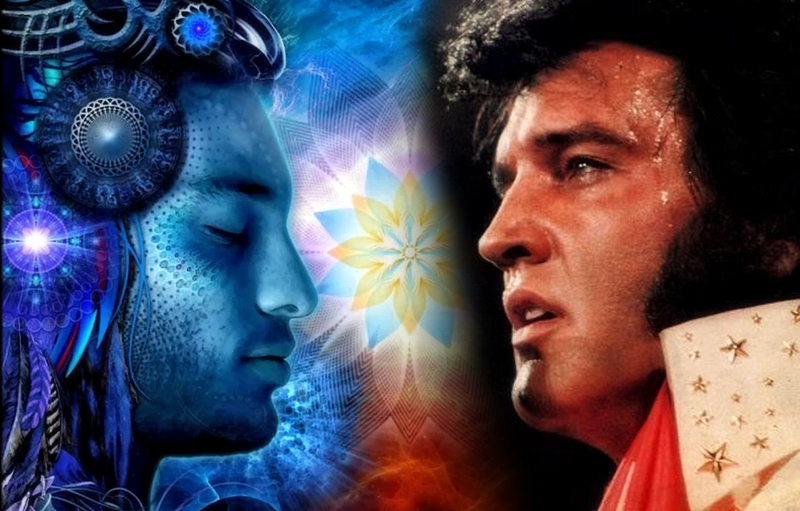 Elvis: “See the air around us is filled with living spirits. We don’t see them – sometimes they can be felt, but most of the time we are unaware until they want us to know about them. And if they can, they make us aware. The trouble is that we on Earth are too involved in living and we don’t heed the ether world. So there is little they can do for us, to help us or to make a contact. And it’s a shame, but that’s how it is. “One day, in the future, not too far out of our reasoning either, it will be different. The time is coming when the portals will open, our Earth will be back on beam and those living on the other plane will be able to reach us, and us them. You see, when the Bible speaks of heaven, it is talking of the other plane – the existence of souls (who have) departed Earth bodies, and those who have not come to Earth in awhile, but plan to later.